The Division 2 is getting a private beta in February for those who pre-order the game, Ubisoft announced on Wednesday in a new trailer. From February 7-10, anyone who buys the game early will receive access to the private beta. There is a chance that players can obtain access to the private beta without having to pre-order the game, but they’ll have to apply for that opportunity via Ubisoft’s site. Only a limited number of applicants will be accepted into the beta that way though, but pre-ordering it is a surefire way to gain access. The announcement of the beta as well as the release of the story trailer was teased recently by Ubisoft as the developer primed followers for a release of some kind before it was later confirmed a story trailer would be revealed. While Ubisoft didn’t detail everything that would be in the private beta for The Division 2, the trailer above did give some insight into the game’s story. After having bested the viral outbreak The Division players encountered, agents now must mop up the remaining forces in Washington D.C. ranging from religious zealots to raider-type enemies who prey on those who survived. The Division 2 will be out later in March, but following an announcement that came just a week before the trailer’s release, the game won’t be distributed through Steam. 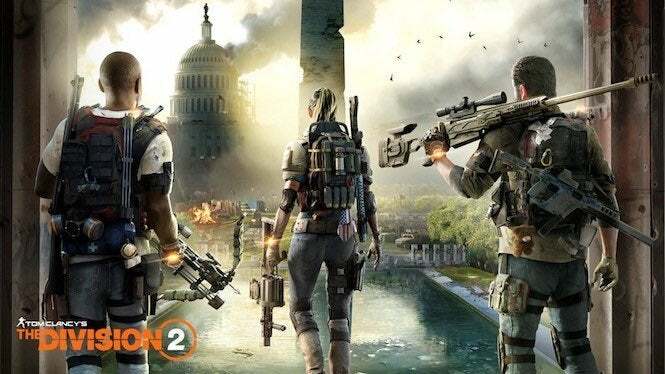 Like other developers who have partnered with Epic Games to sell games through the new store which offers a butter cut for the game creators, Ubisoft has decided to sell the PC version of The Division 2 through the Epic Games store as opposed to Steam. The distribution of The Division 2 won’t be the end of the partnership between the two companies either with the announcement stating they would “partner on additional select titles to be announced during the coming year” which leaves one to wonder what other Ubisoft games will be sold through the Epic Games store. The Division 2 is scheduled to be released on March 15th for the PlayStation 4, Xbox One, and PC.